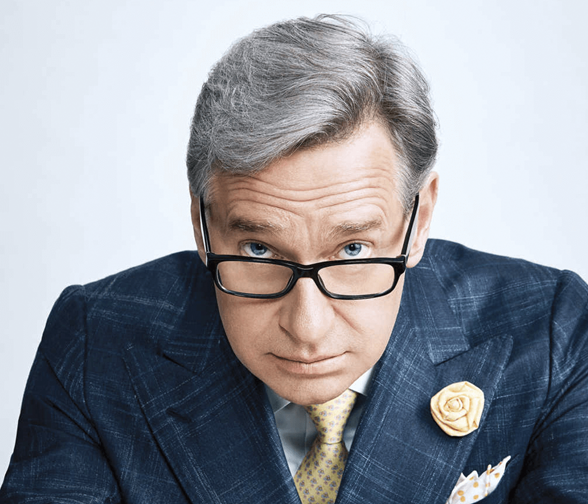 Paul Feig, creator of the hit series Freaks and Geeks and director of Academy Award® nominated film Bridesmaids, will deliver the prestigious Worldview Address at the Edinburgh TV Festival. The writer and director will bring his unique perspective on the global television and film landscape. Feig was responsible for executive producing and directing Emmy® Award nominated episodes of the US version of The Office. He received two Emmy® nominations for writing Freaks and Geeks – the series he created and was later named in Time magazine’s 100 Greatest Shows of All Time. He will discuss his work on a number of comedies from Arrested Development, Weeds and Nurse Jackieto his directing roles on Mad Men, 30 Rock and Parks and Recreation, as well as his numerous films including The Heat, Spy, Ghostbusters: ATC and last year’s A Simple Favor. Last year’s Worldview Address was given by Paul Telegdy; President of NBC Entertainment’s Alternative Programming; other previous speakers include former President of Programming, HBO, Michael Lombardo. 2019 will see Universal Pictures release Feig’s latest film called Last Christmas that was shot in London. Starring Emilia Clarke, Henry Golding, Michelle Yeoh and Emma Thompson. The film was penned by Emma Thompson and Bryony Kimming and features the songs of George Michael. As well as serving as director, Feig produced for his Feigco Entertainment alongside Jessie Henderson. BAFTA winner David Livingstone and Emma Thompson have also served as producers. Feig has recently put his support behind the 4% Challenge, announced by Dr. Stacy L. Smith from the USC Annenberg Inclusion Initiative. The challenge urges filmmakers to make a commitment to work with a female director within 18 months. Smith revealed the challenge during a panel at Sundance and confirmed that Nina Jacobson, Angela Robinson, Paul Feig, Amy Schumer, and Franklin Leonard have agreed to the challenge. Further to the 4% challenge, Paul is an ambassador for Women in Film’s ReFrame programme, has launched a digital company Powderkeg, and through collaboration between Powderkeg and writer-producer Sameer Gardezi they have launched the emerging voices writers’ programme Break the Room. Powderkeg’s mission is to create directing opportunities for women, people of colour and the LGBTQ community. The collaboration with Gardezi sees the Break the Room initiative taking this mission and bringing diverse voices together with community thought leaders for a week-long writers’ retreat. Break the Room has already enacted two of these retreats–one in Los Angeles and one in Albuquerque–with another set to follow in Portland. The Los Angeles room produced a series called East of La Brea, about two working-class Muslim women in L.A., which is set to premiere at SXSW next month. Head of Vice Studios US, EVP at VICE Media.